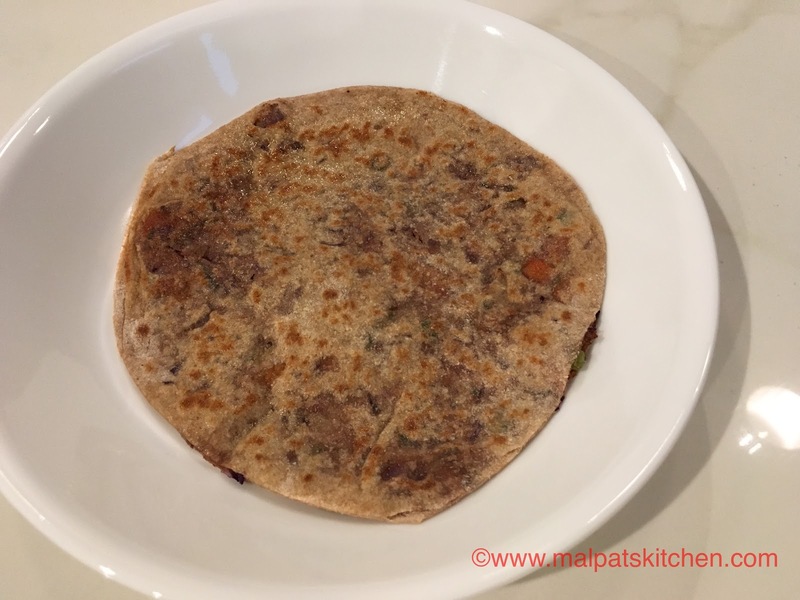 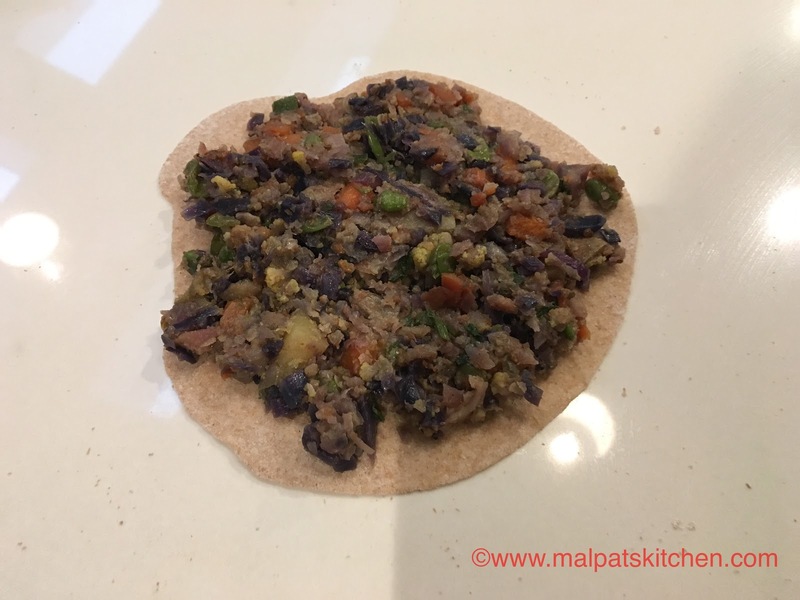 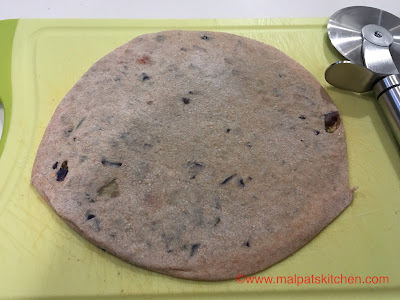 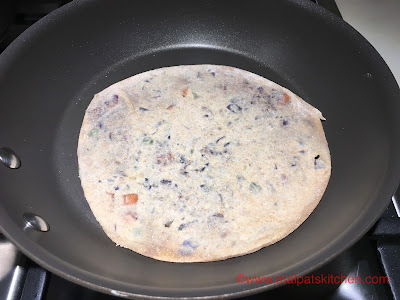 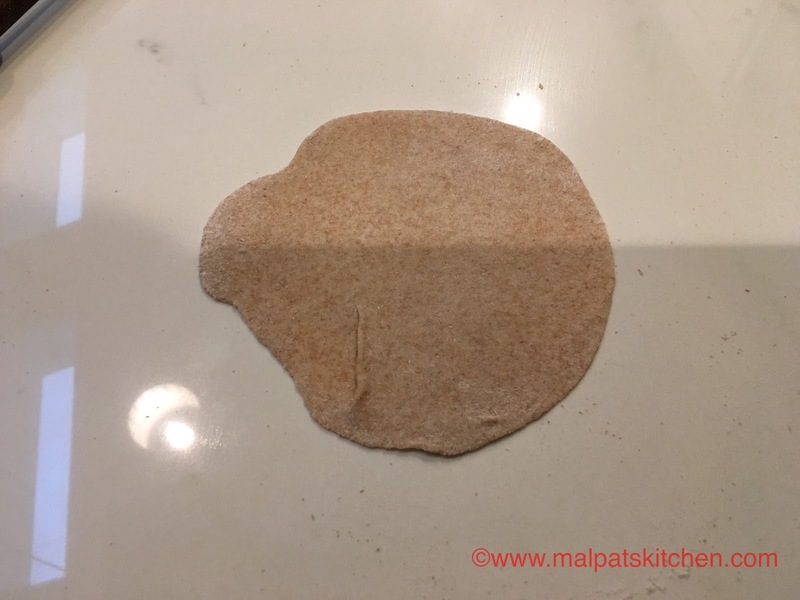 This paratha is a highly nutritious meal, loaded with various vegetables, lot of filling has been kept inside each paratha, and you do not require any side dish for this. 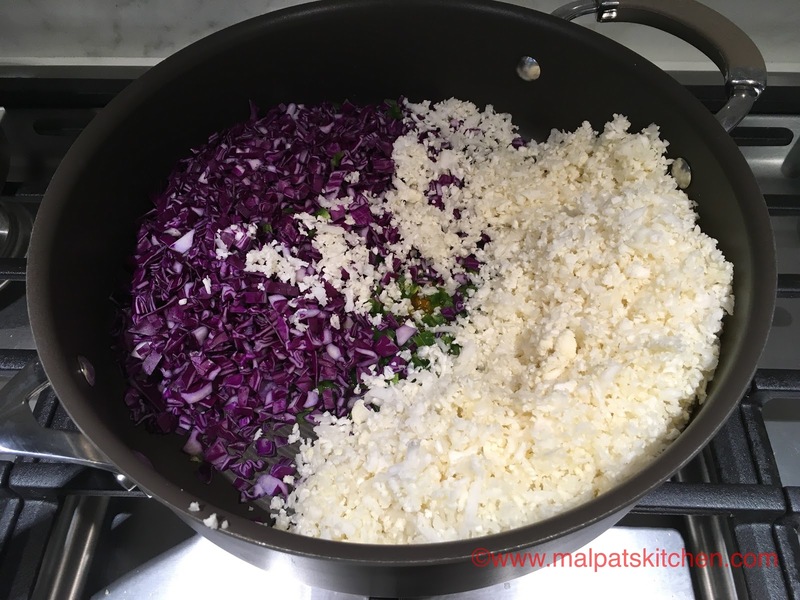 Just a bowl of yogurt is more than sufficient. 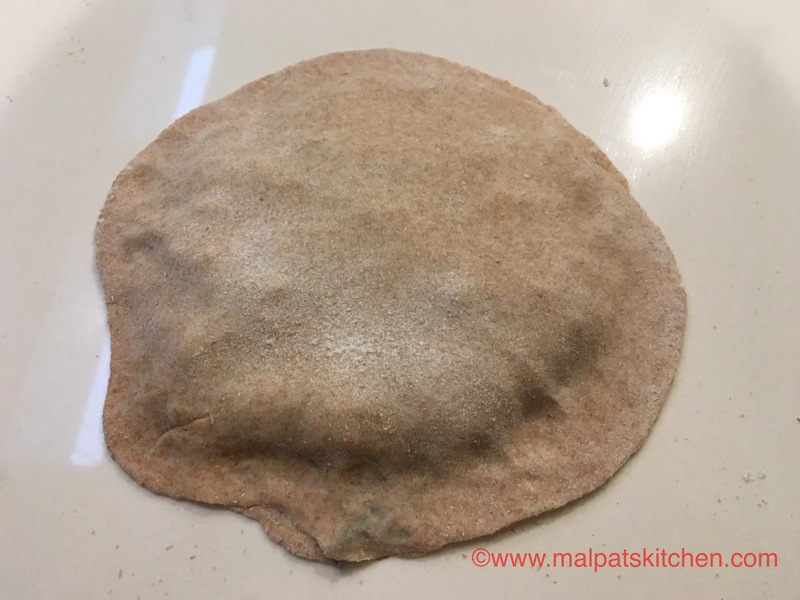 First make a soft, pliable dough, and let it rest for 2-3 hours. 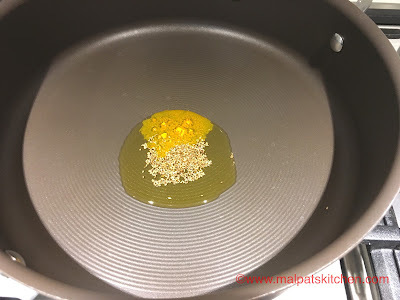 Heat oil in a pan, season turmeric powder and ajwain seeds. 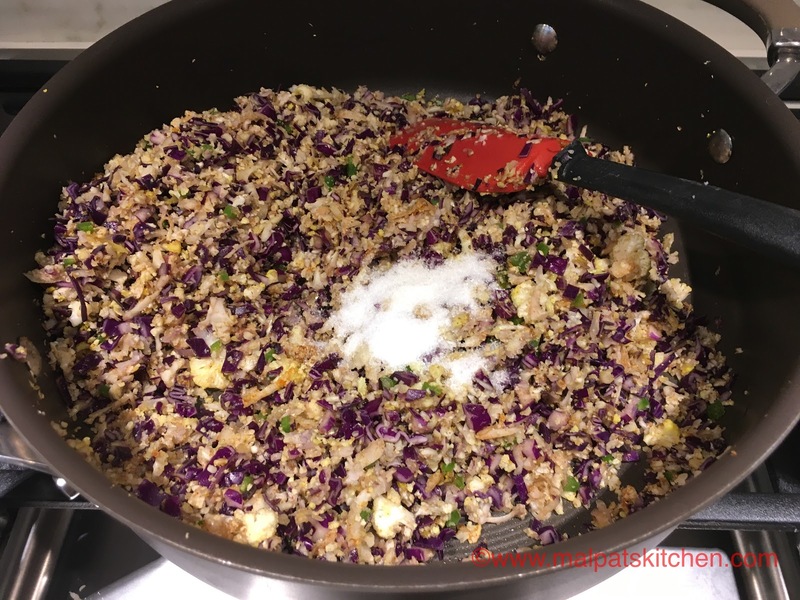 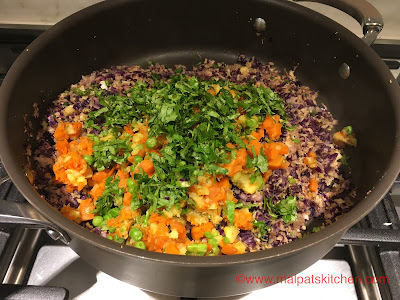 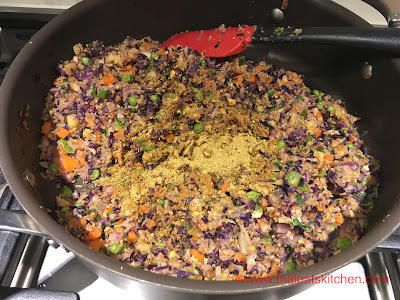 Then add the green chillies, grated cauliflower and the chopped red cabbage, saute well on slow fire. 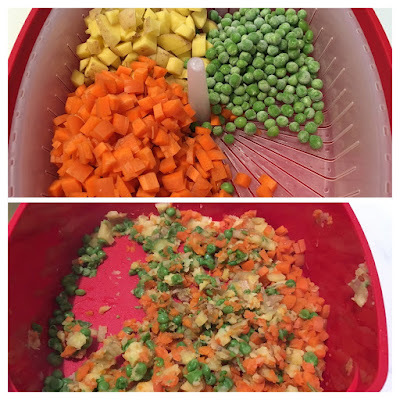 In the mean time, cook the carrots, potatoes and peas in a microwave steamer for 8-10 minutes, and mash them well. 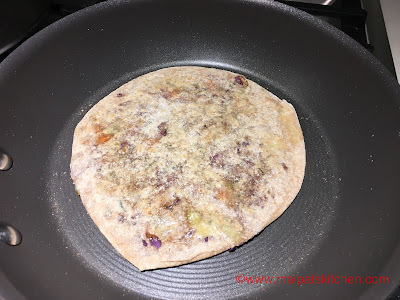 Add the paratha masala powder now and stir well, switch off now. Pinch 2 small balls from the kneaded dough, roll out two 8" rotis. 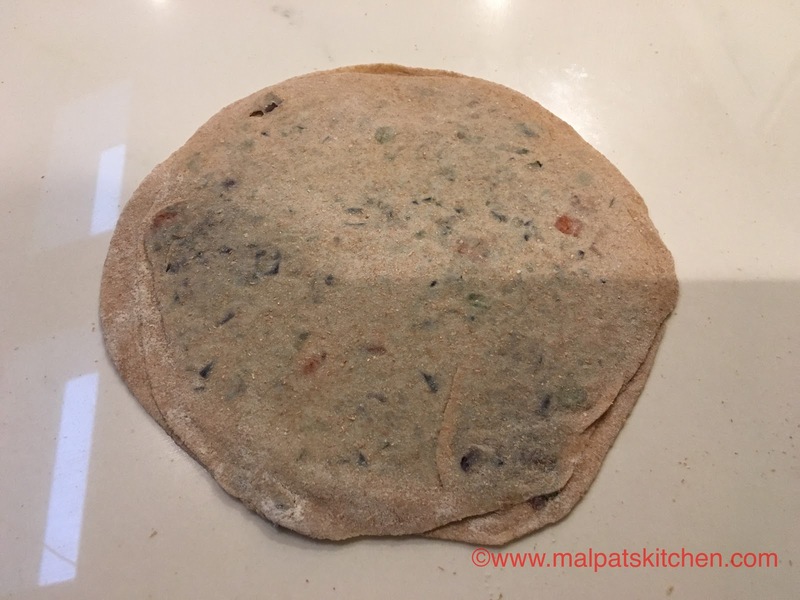 You can cut them into halves and serve with any pickle and yogurt or any side dish or a nice chutney. 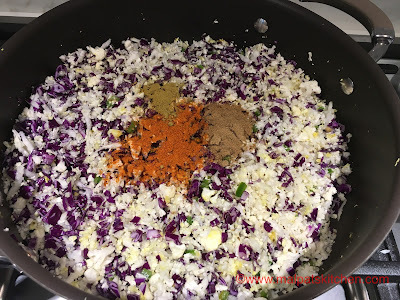 * If you do not possess a microwave steamer, you can pressure cook the veggies for one whistle, just to soften them.